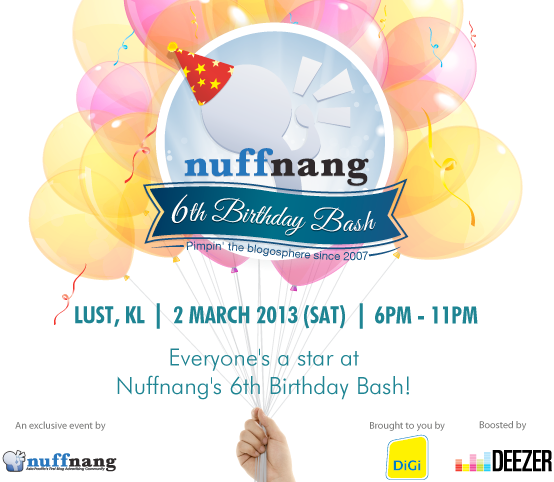 If you love a good party, then you definitely can't miss out on biggest celebration of the year the Nuffnang 6th Birthday Bash, which is happening on 2 March 2013 (Saturday)! Blog and share your favourite music album, and be sure to include the album cover. 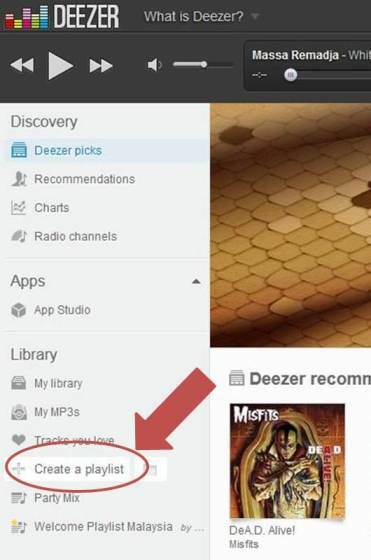 Sign up at www.Deezer.com with your Facebook account. 3.Create a playlist on the sidebar and name it “NN Stickman’s Birthday”. 4. Pick a maximum of 5 tracks that you think we should play at Nuffnang’s 6th Birthday Bash. Excited yet? Feeling the party buzz already? Then hop on over to Nuffnang blog to find out how to win a pair of exclusive party invites! 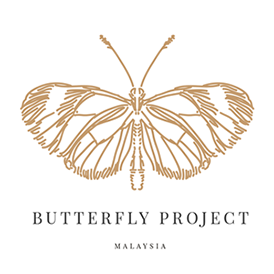 hi aida..yeahhh excited nyerr nk jmp blogger friend ^^ klu nmpk tego la yerr..hehe c ya iAllah..